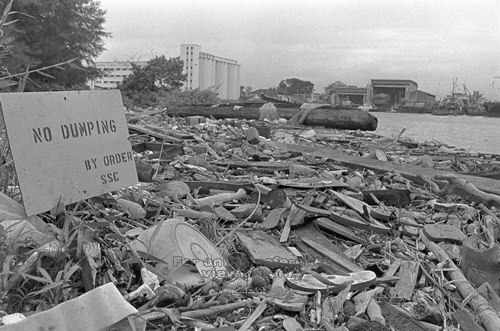 The Singapore River was a typically and sadly abused river, a dumping ground from the time people settled along its banks. 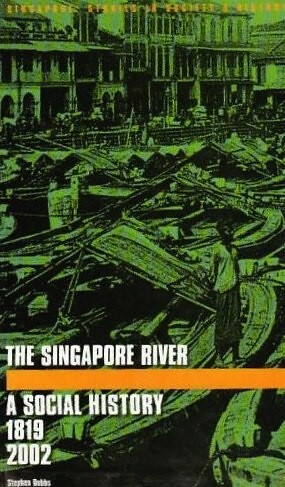 The growth of modern Singapore amplified that pollution to such an extent that the river was pitch black in many parts. My ecology class always hears about this during the aquatic biomes lecture when I talk about nutrition states of water bodies because the memory of the filthy state of the river still haunts me! Well-embedded in my mind in particular is the condition of the Kallang River which flowed past St. Andrew’s School – it was a black river and during postwar years, regularly flooded the farming areas of Potong Pasir upriver. Residents sought refuge with the school on Woodsville Hill and this is remembered well in the school’s history alongside other efforts to help our neighbours, to the schoolboys who came later. 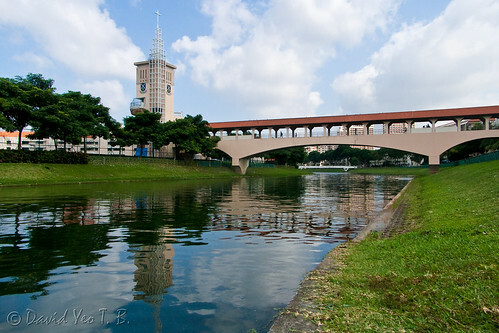 Kallang River is the longest river in Singapore, but spans a mere 10km. It begins from Lower Peirce Reservoir and runs through the boundary of Ang Mo Kio and Bishan, and cuts through Braddell, Toa Payoh and Potong Pasir before passing St. Andrew’s at Woodsville. 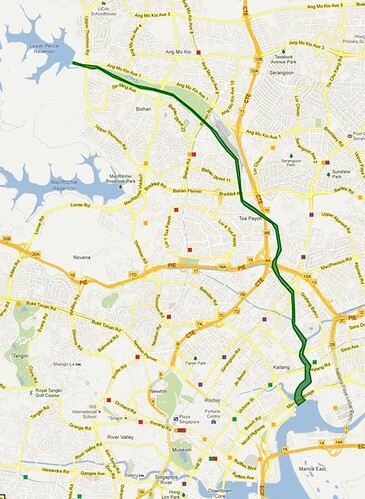 The Bukit Timah Second Diversion Canal joins it and then tributaries join it from in the Balestier/Serangoon/Whampoa areas (Sungei Whampoa), the MacPherson/ Aljunied/Geylang areas (Pelton Canal), the Serangoon (Little India)/Rochor/Jalan Besar areas (Rochor Canal/River) and the Sims/Geylang/Mounbatten areas (Geylang River). “Many of the village folks (not our family, I must declare) used to discard dead animals like chickens, dogs and even pigs into the river. The resulting stench was sometimes so strong that whenever we walked or cycled past the river, we had to hold our breaths. Sometimes, when the tide was low, you could even see the maggots crawling all over the carcasses, a sight that even we kampong kids found it difficult to stomach. SPH/PICAS – Looking out for crocs along the Kallang River (1976). I could easily been one of those boys! In the 70’s when I was in the primary school, things had not improved. Retrieving a precious football which had gone astray from the school field into the river was a descent into hell and would mark you, well, for the rest of the day! The smell was glorious of course, as there was plenty of hydrogen sulphide emerging from anoxic processes in the mud. It was a much shallower river then as it was well silted up. 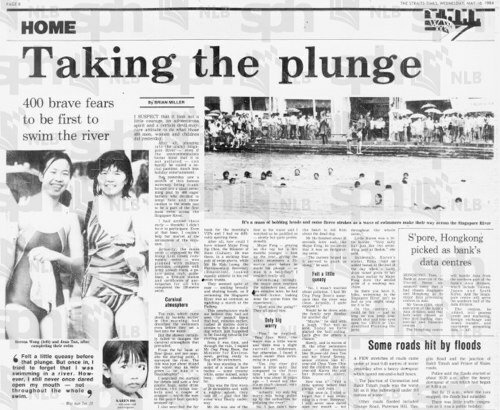 We did not have a swimming pool in the school then, but we were proud of our stinky river and I missed it when we went away to SAJC in 1983-4, which was then in Malan Road along the Southern Ridges. Well, that is all thankfully a distant memory and the waters of the basin are in a much better state now. 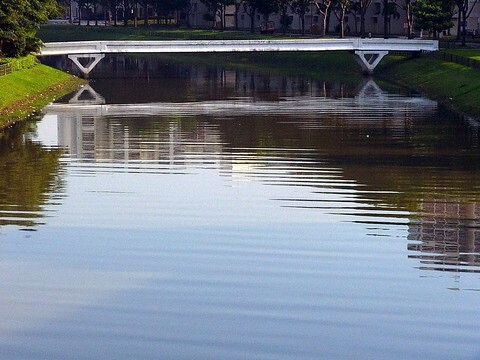 In 2006, the primary and secondary schools of St. Andrew’s were reunited with the junior college and connected to it by our very own bridge across the Kallang River. When I helped my buddy Yew Chee Chien manage operations during the St. Andrew’s Carnival (part of the school’s 150th Anniversary celebrations) in April this year, I stood on the bridge during the safety recce to contemplate the healthier condition of the river. And wished it could be just as so all over Southeast Asia. That the river was clean was no result of popular wisdom. 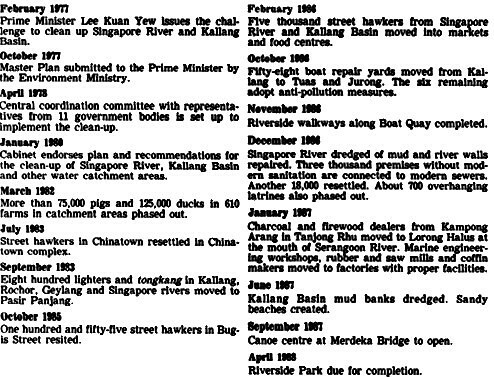 It took a massive, dedicated and integrated effort spanning a decade, from the challenge issued by PM Lee Kuan Yew in 1977 to the time sandy beaches were created on Kallang Basin. By 1984, the river was clean enough for a mass swim to be organised across the river. It included the artist and Parliamentary Secretary for Education, Ho Kah Leong. Despite a dead dog being fished out moments before the swim, the event was a success and marked the transformation of the river. Certainly the 400 who swam the river have boasting rights! “Taking the plunge” [in the Singapore River] by Brian Miller. Drainage Department, PUB; Jan 2004. 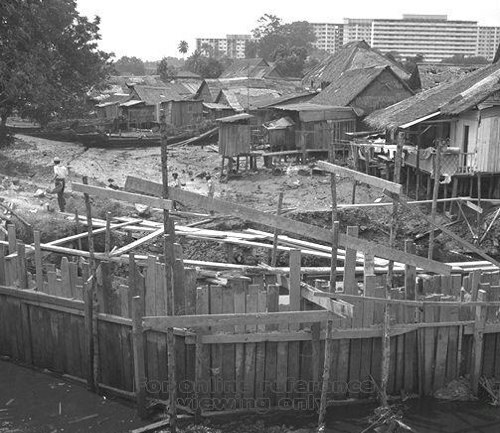 The phenomenal changes incurred a social cost, which is discussed in Stephen Dobbs’ (2003), “The Singapore River: A Social History, 1819-2002.” 220p. Available from NUS Press. The least we can do now is to keep our rivers clean. As land and water is connected, this means keeping our ground litter-free too. A fairly straight-forward principle, one might think. Left to our own devices though, would we keep our rivers from turning black again? “From Villages to Flats (Part 1) – The Kampong Days.” Remember Singapore, 04 April 2012. Phenomenal post about villages of our past. “Lost Islands Of The Singapore River,” by Laokokok. Times of My Life, 02 Jun 2008 (Part 1) & 23 Jun 2008 (Part 2). “The Singapore River (and its Bridges),” photos by Tim Light. Singapore Through The Ages. No More Dead Chickens,” by Lam Chun See. Good Morning Yesterday, 24 Feb 2006. Chou, L. M., 1998. 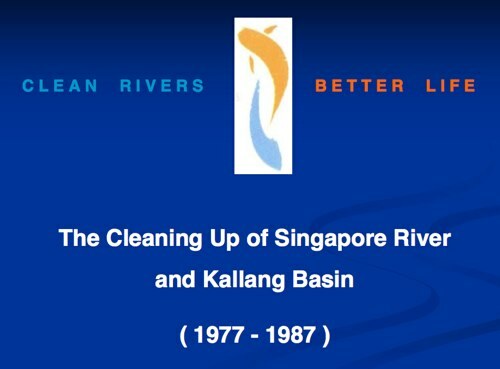 The cleaning of Singapore River and the Kallang Basin: approaches, methods, investments and benefits. Ocean & Coastal Management, 38(2): 133–145. “PUB launches programme to nurture ownership of water resources.” Channel News Asia, 24 Aug 2005. Programme launched at St. Andrew’s Village, school “adopted” the Kallang River stretch at Saints bridge. “Kallang Park Connector,” NParks webpage, with map. “Kallang Park Connector,” by Mike. Singapore Walking Routes, 01 Oct 2010. Description of highlights with google map. Thanks Anand, meant just to share the slides but had to put in just a bit more. Loved the transformation of Singapore through the photos! 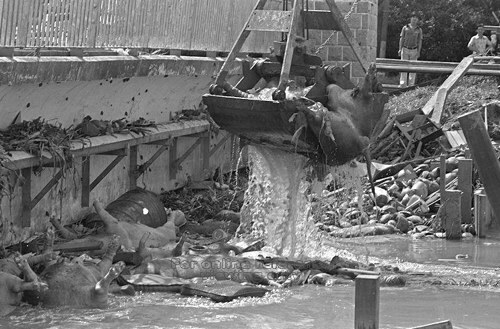 This is a very well-researched blog with accompanied photos for the cleaning up of Singapore River over the decades. Everyone, Singaporeans, visitors and guests ought to keep Singapore clean and green for the environment for the benefit and an attractive country for all.